Lexington’s Carnegie Center for Literacy and Learning is inviting visitors into the world of Frankenstein this Saturday night. 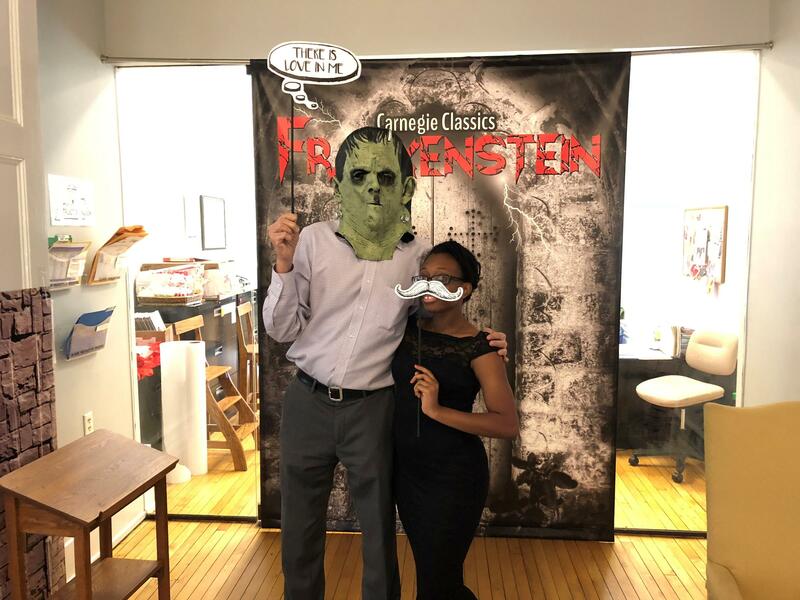 The center is bringing Mary Shelley’s classic gothic novel to life this weekend as part of their annual Carnegie Classics fundraiser. And Jessica Faye-Mohler with the center says the literary arts and education non-profit’s home on West Second Street is well-suited to the task. "This big 1902 building kind of lends itself to a castle in the right light, so we're going for kind of a run-down castle, dungeon vivbe," she says. "We're totally gothing it out." The communications director says AthensWest Theatre Company will present two short pop-up plays based on the novel while sculptor Robert Morgan will create the mate Victor’s monster always wanted. "I think people are just going to be blown away by art installations from an electric stormy thunder scene to a bar that's just stocked to the brim with cocktails and drinks inspired from the book," she adds. Attendees are encouraged to come dressed as characters or in their best gothic garb. The event starts at 7 Saturday night at the Carnegie Center.